Park City's real estate market is quite unique. On the one hand, sold prices are up compared to a year ago; on the other hand, property owners are being forced to lower their list prices if they want to sell their properties. The number of sales in recent months has noticeably decreased as buyers are refusing to purchase overpriced listings. Sellers of Park City properties fall into one of two categories. There are those whose life situation motivates them to sell, and then there are others who do not need to sell at all. The first group has well-defined goals for selling their properties, and they want to get it done. They're looking for a fair price. 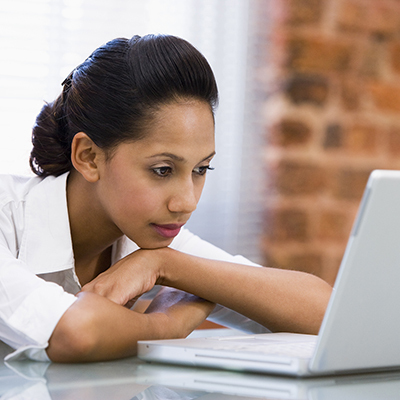 These sellers price their properties after a thoughtful review of recent comparable sales. They generally list their properties at or slightly above recent sold prices, depending upon the amount of competition in the marketplace. Their homes sell relatively quickly. The second group doesn't need to sell at all. They have no urgency or compelling factors motivating them to sell right now, and they generally don't care about market data. They usually have a figure in their minds as to how much they want to get for their properties, and what others have paid for comparable properties is of little importance to them. These folks often say, "If I can get the price I want, I'll sell my property; otherwise, I'll keep it," and they mean it. The happy medium, or sweet spot, that we're seeing where buyers and sellers are coming together during negotiations is at a price that is slightly higher than the last comparable sale but not so high that buyers are refusing to buy. Of course, every property is different, and price adjustments need to be made for those differences. 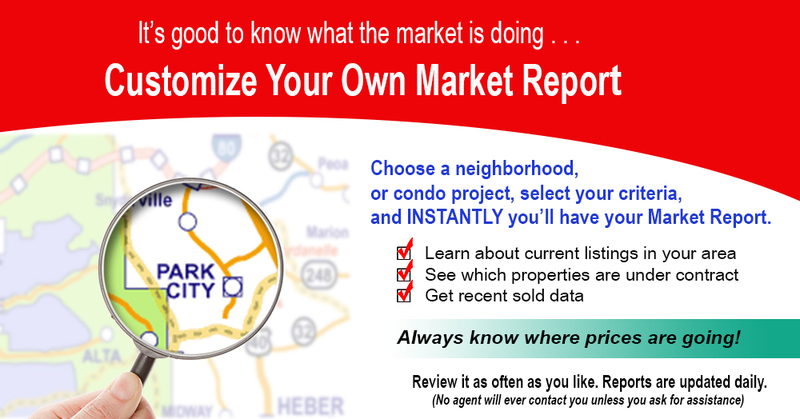 Want to know what your property is worth in today's market? 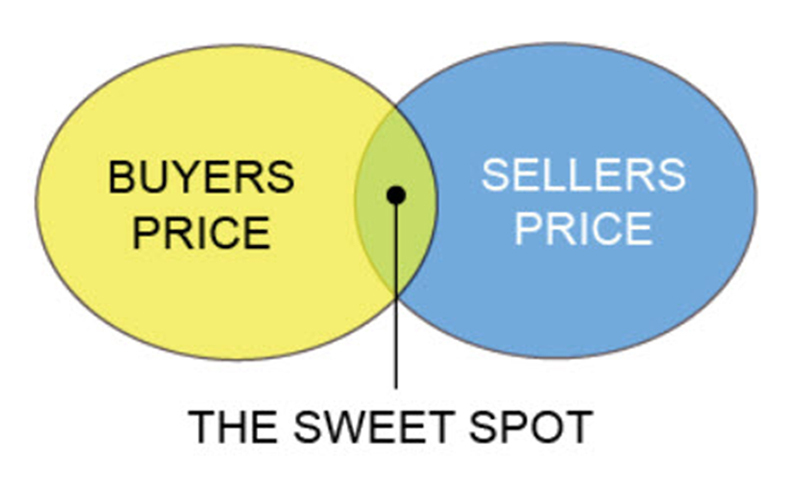 Contact us for a free Property Value Assessment and we'll help you find the sweet spot. The total number of homes sold in the last 12 months was 521 compared to 554 the prior 12 months. Within the Park City city limits, homes decreased by 15 sales, or 9%, with 157 homes sold in the last year compared to 172 sales the year before. Homes sold in the Snyderville Basin were down 2%, or 9 sales, from 373 to 364. The comparison of median sold prices shows us that home prices increased 16% within Park City city limits, and went up 21% in the Snyderville Basin. Median prices in town went from $1,850,000 to $2,145,000, and from $1,040,000 to $1,262,500 in the Snyderville Basin. That means there was an average uptick of approximately 18.5% for our areas. The total number of condos sold dropped from 624 sales between April 2017 and March 2018 to 586 between April 2018 and March 2019. Condominium sales within the city limits were down by 6%, or 20 sales, while condo sales in the Snyderville Basin fell by 18 sales, which is an 6% decrease from the previous year. Median prices of condos had an increase of $85,000 or 11% in town and an increase of 11% (about $52,500) in the Basin. That makes for an average 11% increase between Park City and the Snyderville Basin condominium median sold prices. When the total vacant land sales in Park City city limits and Snyderville Basin are averaged, the last 12 months compared to the prior 12 months shows a decrease of 15%. But, when we break it down, there was an increase in sales in the city limits, from 25 to 28; a 12% increase. Lot sales in Snyderville Basin decreased 19% or 30 fewer sales. Overall, median lot prices showed an increase of 21.5% -- 34% in city limits, and 9% in the Snyderville Basin. This roughly translates to an increase of median lot price in Park City of $270,000 and about $40,000 in Snyderville Basin. When properties are priced correctly, based upon recent comparable sales, they sell in an average of 119 days. Meanwhile, the current inventory of properties for sale in Park City is staying on the market an average of 8.5 months without selling. So what’s going on? The silver bar on this graph shows that homes that are selling are taking an average of 119 days to sell. The red bar shows the cumulative days on the market for listed homes that have not sold. The average number of days on the market without selling is 258. That is about 8.5 months on the market without selling. Many factors impact why one property sells over another. They include location, views, the age, and condition of a property, upgrades, and so forth, but the number one factor is price. 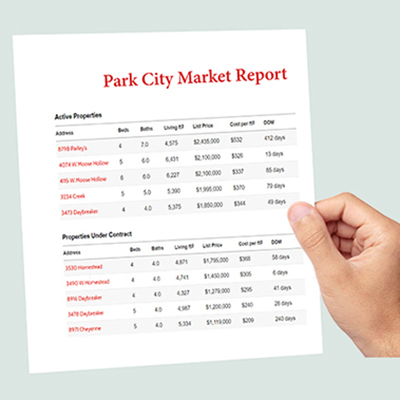 After more than 30 years of selling real estate in Park City, I have learned that there is a buyer for every property, at a certain price. If you’re thinking of selling your property, realize that selling a home is a hassle. You must keep your home clean and in "ready to show" condition at a moment's notice. Nobody wants to be inconvenienced for eight months or more, especially with no sale to show for all the effort. When you decide to list your property, choose a price that will result in a sale within a reasonable time.